Act I Chicago, 1899. A women’s prison. Marie Christine L’Adrese enters a cell filled with inmates, some mad, some violent. Three of the Prisoners question Marie Christine – “Before The Morning.” These women journey with Marie Christine as she recounts her story, the events coming to life, as if conjured by her memory. First, she recalls her beloved mother, who taught her about her African heritage, the power of voudon magic and her place in society – “Mamzell’ Marie/Your Grandfather Is the Sun”. As Marie Christine describes her first meeting with Dante Keyes, who would become the father of her children, she invokes the memory of Blue Rose Park, on the shore of Lake Pontchartrain, Louisiana – “Beautiful.” Dante is a sea captain whose ship is stranded in Biloxi. He has made his way to New Orleans to settle a score with his ship’s owner. Their attraction to each other is immediate, as the Prisoners note – “In an Instant.” Marie Christine tells Dante about her parentage and we meet her brothers: Jean, a serious Advocate-of-Law engaged to the very proper Beatrice; and Paris, a bon vivant. They remind her of the restrictive rules of Creole society in New Orleans. On her own, Marie Christine teaches her young maid and confidante Lisette how to survive in a world ruled by men – “Way Back to Paradise.” Dante, a young ambitious man, recounts how he survived years at sea triumphing over great perils – which he attributes to his natural charm and charisma – “The Storm.” Marie Christine offers to help Dante settle his business in New Orleans. And she reveals her secret life as a practitioner of voudon, helping people of all race and classes in matters of the heart – “To Find a Lover.” Dante extols the virtues of Chicago where he grew up and where his patron Charles Gates will help him run for political office someday – “Nothing Beats Chicago.” Marie glimpses a darker, complex side of the man when he sings of the loneliness of the ocean (“Ocean Is Different”) and is powerlessly swept away by him – “Danced with a Girl.” They make love as the shadows fall over the park. 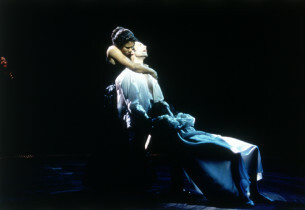 As her maid Lisette searches for her mistress (“Tout Mi Mi”), Marie realizes that Dante is her way out of her confining life (“He Is My Release”); yet the voice of her conscience – her mother – questions whether she should allow her passions to rule her life – “Miracles and Mysteries.” Dante reveals his vulnerability to her (“I Don’t Hear the Ocean”) and they realize they have fallen in love. Marie invites him to stay with her in her family’s home in New Orleans. In the L’Adrese household in New Orleans, the servants comment on their mistress’ forbidden affair with a white man. They pass along information in coded language (“Bird inside the House) so as not be caught gossiping. 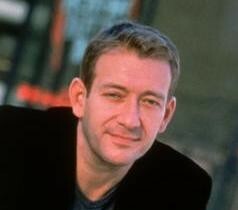 Marie Christine’s affair has become a scandal. Jean and Paris confront her and demand she end this relationship – their family’s reputation is at stake. Marie Christine discovers she is pregnant with Dante’s child. Her worst fears of abandonment are almost realized when she discovers Dante flirting with Lisette, who inadvertently tries to tell him of Marie’s pregnancy. Dante prepares to leave, as his business in New Orleans is settled. Marie begs him to take her with him, telling him she will steal her mother’s gold and jewelry, which are rightfully hers, to finance their flight. 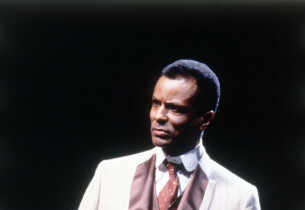 But even though Dante is unaware of Marie’s condition, he promises to take her with him to Chicago. There, he plans to fulfill his own destiny with her – “We’re Gonna Go to Chicago.” Dante leaves, promising to return with his ship in three days. Alone in her bedroom, Lisette prepares for bed. 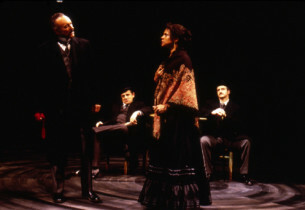 Marie Christine confronts her and accuses her of betraying her secrets. Inducing a spell of paralyzing fear in the young girl, Marie commits the first of many crimes for her love. 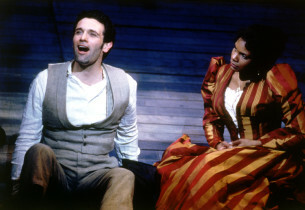 The Prisoners, horrified and awed, comment on Marie’s need to protect her relationship with Dante (“And You Would Lie”) and Marie declares her passion – “I Will Give.” At Jean and Beatrice’s engagement party, Paris entertains with an artsong, while Jean and Beatrice accept best wishes from their guests. Dante appears and Marie goes to him with her mother’s safe box. Jean confronts Dante in a rage and a violent fight ensues. Paris comes to Jean’s defense and the brothers beat Dante mercilessly. 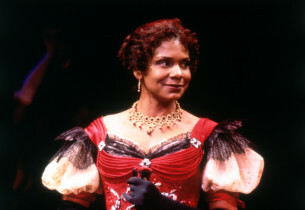 Marie Christine grabs the knife Paris has dropped during the fight and stabs her brother to death – Act I Finale. Marie Christine and Dante flee to the docks, where they escape from New Orleans on Dante’s ship. Marie wordlessly reveals to Dante she is carrying his child as the act ends. Act II Marie Christine and Dante have spent five years sailing up and down the Eastern Seaboard after their escape from New Orleans. They have two beautiful sons, five and three years old. They finally settle in Chicago where Dante situates Marie and the children in a small house by the river while he pursues his political ambitions. In a saloon in Chicago’s First Ward, Magdalena, the saloon’s proprietor, entertains the bar’s patrons who include Dante and the powerful political boss, Charles Gates – “Cincinnati.” Her performance is interrupted by a rally for Dante who is running for City Alderman under Gates’s watchful eye – “You’re Looking at the Man.” Marie Christine confronts Dante. He has abandoned her to facilitate his political aspirations and is now engaged to marry Gates’s daughter Helena. He coldly asks her to leave Chicago. As she furiously reminds him of the years they spent together, the scene dissolves into a memory of Dante, Marie, and their children in a playful, happy moment – “The Scorpion.” Dante insists she turn the boys over to him. Marie accuses him of complicity in crimes she committed for him, including murder in New York City – “Lover, Bring Me Summer.” He admits to nothing. Marie Christine explodes and threatens him in wounded rage – “Tell Me.” Magdalena pays a visit to Marie Christine – “Bill Was Sweet.” She warns Marie that Charles Gates will do anything to get Dante into political office; her life is in danger. She entreats her to give the children over to Dante for the time being and leave town; Magdalena will provide refuge and promises to get her children back for her. In exchange, Marie will help Magdalena and her husband realize their wish for a child of their own – “Paradise Is Burning Down.” Marie is tormented by her obsession with Dante; she insinuates herself into his psyche and as Dante tries to make love to the beautiful Helena, Marie unleashes her power in a violent, heated pas de trois – “Prison in a Prison.” Late at night, Charles Gates’s henchmen, McMahon and Leary, appear at Marie Christine’s door with a message from Gates – “Better and Best.” Gates then appears and confronts Marie, accusing her of standing in Dante’s way. He says he will accept Dante’s children into his household. Marie fears he will abuse them and refuses. Enraged at her obstinacy Gates and his henchmen then viciously humiliate her – “Good Looking Woman.” Marie Christine is broken. Powerless to protect her babies and discarded by Dante, she is haunted by the ghost of her brother Paris, and the memories of her family – “No Turning Back.” The Prisoners encourage her to continue with her story – “Before the Morning” (Reprise). On the day he is married to Gates’s daughter, Marie who tells him that she has decided, for the children’s sake, to turn them over to him, summons Dante. 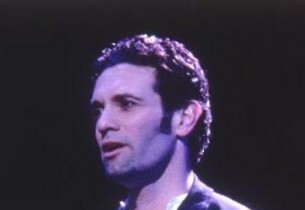 She could never hurt him, she says – “Beautiful” (Reprise). She gently asks that the boys be allowed to present a gift to Helena after which, Magdalena is to bring them back for a final goodbye. Dante assents and leaves with the boys. Marie Christine then turns on the Prisoners in a violent outburst. They will bear witness to the end of her story. Magdalena returns from the wedding with the children. She repeats her promise to provide Marie with refuge outside the city and to get her children back for her shortly. Marie Christine gives Magdalena a gift that will help her bear a child. Before surrendering the children to Dante, Marie says she would like to bathe and prepare them. As Magdalena looks on, Marie sings them a lullaby and holds her babies close as she leads them off – “I Will Love You.” The quiet moment is shattered by Dante entering in hysteria – the gift Marie has given Helena was poisoned, killing Helena on her wedding night – “Your Name.” Dante demands that Marie Christine turn the boys over to him. What he sees in her eyes is no less horrifying than what he sees in the next room. She has murdered their children. He collapses, destroyed. “Innocence dies by your hand, for his arrogance, for your awful love. But is love too small a pain for a woman? Cover your eyes and ask the sun . . . ” Marie Christine’s mother is heard, echoed by the Prisoners, finally by all the women. Dawn arrives. Marie Christine walks toward the cold, rising light, into the burning sun – Finale. 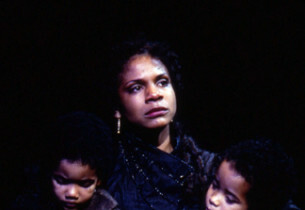 A musical loosely based on the Greek tragedy Medea, and informed by the story of Marie Laveau, the most famous practitioner of voodoo in Louisiana history, Marie Christine was developed in close collaboration between Michael John LaChiusa (book, music and lyrics) and director/choreographer Graciela Daniele, and was written specifically with Audra McDonald in mind. Set in New Orleans and in Chicago in the late 1800s, it gave the actress another opportunity to dazzle in the title role as a woman driven by her passions to commit incomprehensible crimes. 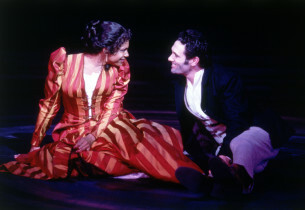 It premiered at the Vivian Beaumont Theatre on December 2, 1999 where it played 42 performances. 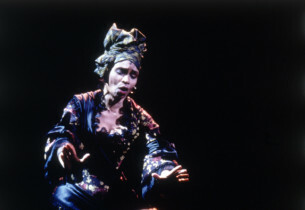 To put on a production of MARIE CHRISTINE, Click Here!